Having the right lead generation systems is the key to having a successful business. Your lead gen systems fill the top of your sales funnel and ultimately turn into buyers and sellers. 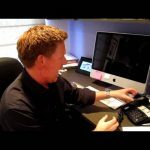 -Am I getting the most out of my current lead gen systems? -Which lead sources are producing the most commission dollars? -Which new lead generation system is a natural extender to what you’re already doing. 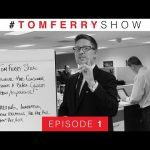 23 Responses to "Choosing The Right Lead Generation Systems | #TomFerryShow Episode 59"
amazing @coachtomferry how many people don’t believe every business lives or dies by lead gen. Choosing the quantitative approach to find the source of your lead generation issues is more effective than looking at the feelings or emotions behind it. If an online tool is working and you’re putting money into it keep doing it, if not then what’s one thing you can do differently? I can try another funnel to get customers. 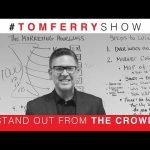 Tom, you really hit it home at the end…stop blaming your customers because you didn’t have the skills or what it takes to service them properly. I’m so guilty of that recently. Thank you for another amazing TF show! Great!!! Using this on my coaching calls this week! Feeding the funnel today! Thanks Tom. I got into resl estate because it’s more interesting than practicing law. Love the show!!! 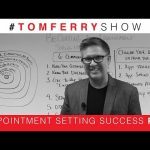 +Coach Tom Ferry Since I started in R/E in 2004 I have been spending a great deal of time calling on and following up with hundreds of FSBO’s. Now though, all of them are registered to a website which became so popular in the last 3 years here that it has become almost like a second MLS. I used to do well with FSBO’s (7 deals in 2014) but since last year it dropped to almost nothing (1 sale in 2015, 1 listing and 1 sale YTD). I really feel it is becoming a huge waste of time. My question is, should I just stop calling FSBO’s and spend that time on my sphere, past clients, etc. Thank you. This was great Tom! Sending this too all our agents today. If you are a new agent, know this one thing: buying online leads is a losing proposition. You will be throwing money out the window. I know this from first hand experience. I am a serial entrepreneur now in real estate. OH GOSH. head in my hands. SIGH. In the almost ten years I’ve known you, this is the best teaching you’ve done. Strong, clear, generous, thoughtful and filled with brilliance. DAMN YOU’RE GOOD! You are putting a dent in the universe brother! You hit the nail on the head! Great info to be reminded of. Thank you for the kick in the pants! Hello coach Tom. I’m in the process of obtaining my real estate license. Love the videos you produce, and I’m gaining so much insight from them. One small thing about the videos. I watch many times on my tablet and in noisy area. The audio is great on your intro and closing bits, but during the “beef” it can get low. Thanks for everything you do. Please never stop, love your approach, just awesome! How do you do door knocking in condo communities? Would mailers be better? Or talking to the condo association and asking to leave door flyers ? Your best episode so far. Too bad many will watch this to only go back to their mundane “systems” of desperation, no planning and barely making a living. Thank you Tom for that great Show educating me once again, and refreshing my memory on how to continue growing my business! Need clients ? Door knock now !! !